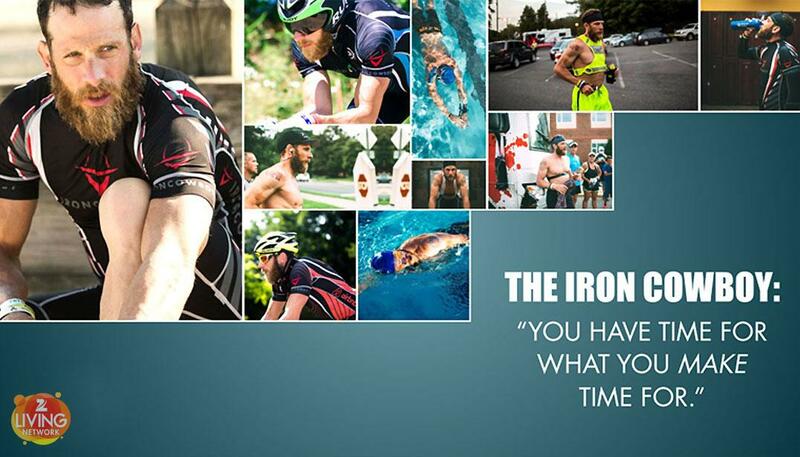 Ever thought about attempting an Ironman distance Triathlon? James Lawrence, AKA “Iron Cowboy” has achieved several Guinness Book of World Records, the greatest of which is completing50 full Ironman Triathlons in 50consecutive days in all50 US States! James will share his inspiring journey about how he was repeatedly told what he could not do, should not do, and how he consistently accomplished the seemingly impossible against overwhelming odds. James’ story, told using amazing photos and captivating videos, documents his record-setting accomplishments with a behind-the-scenes look into true commitment and dedication – and both of his presentations resulted in TWO different standing ovations at the annual EO – GLC conference in Frankfurt, Germany. Cancel your personal trainer appointments for the day and come meet someone who can inspire any couch potato to greater accomplishments than anyone thinks possible!! This event is a must-see for all entrepreneurs who face challenges!! Get the latest curated local entrepreneurship news delivered to your inbox. All content Copyright © 2019, EO Knoxville. Knoxville web design and hosting by Slamdot.